"A Tarot of Faery" follows the traditional 78 card structure. The Major Arcana are all traditionally titled. Strength is at VIII and Justice at XI. 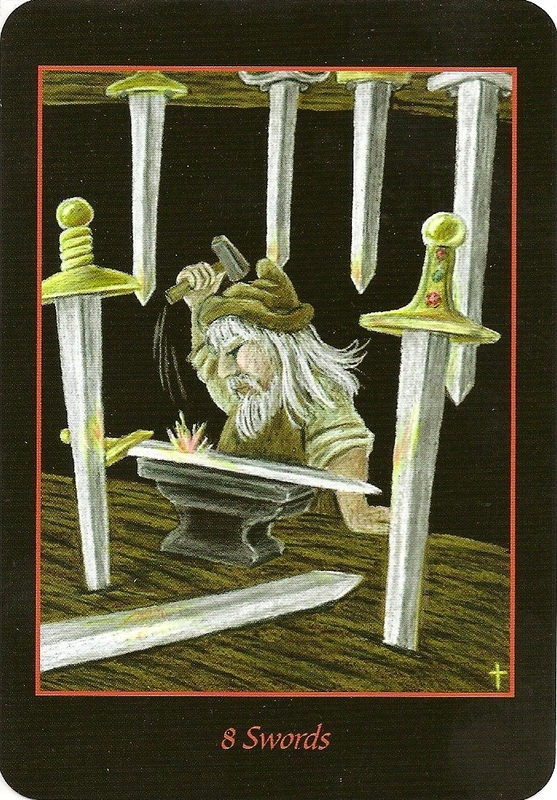 The suits are entitled Wands, Cups, Swords, and Rings (Pentacles). The suit of Rings is in deference to Faery Rings. The court cards are Page, Prince/Princess, Queen, and King. The designation of Prince and Princess represent the Knight cards in traditional tarot. The title of "Prince" is used for the masculine elements of Wands and Swords, and "Princess" is used for the feminine element of Cups and Rings. The Swords is associated with the element of Fire, and the Wands suit is associated with the Air element. In the guidebook is explained: "The logic behind this decision lies in the fact that dwarves craft swords using the element of fire while sylphs that inhabit the air are most likely to be portrayed by wands." 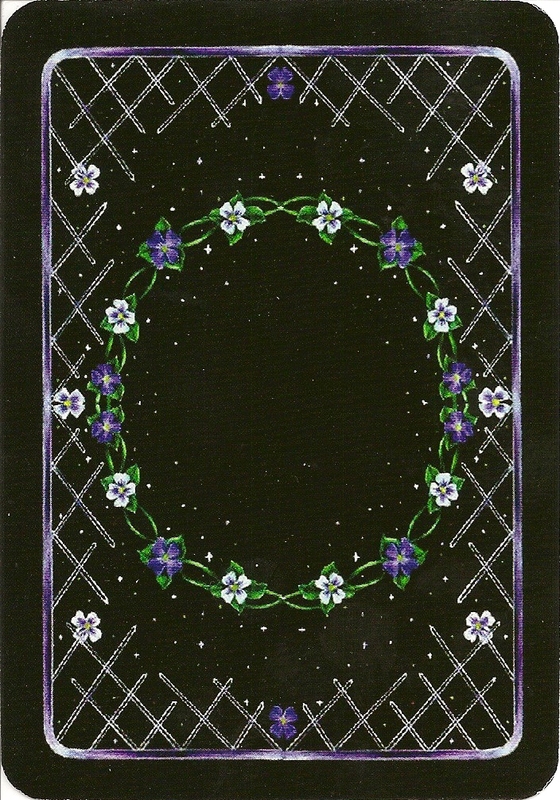 The reversible backs show a black border, and a black background to a center graphic of latticework and small flowers, with a circle of small flowers in the center. The Majors have only a black border, with the card number, in Roman numerals, and the card title in gold at the bottom of the card. Swords show an additional small red border, Cups a light blue border, Wands a light lavender border, and Rings a light green border. For the Pips, the number and suit are in text at the bottom of the card, in the same color as the border. The Court cards show the card title and suit at the bottom of the card, in the same color as the border. The 176-page companion book and the cards come packaged in a cardboard box. A lift up lid is pulled by a white ribbon tab to open the box. The lid has a hinged top and a magnetic closure.